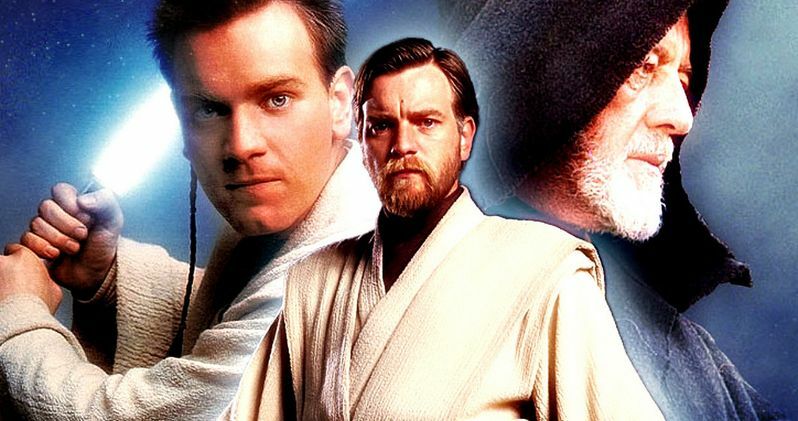 Is a Star Wars Obi-Wan Kenobi Spinoff Trilogy in the Works? One of the few things we do know about Star Wars: Episode VII is that it will launch a new trilogy of films in December 2015, with two sequels and three spin-offs coming between 2016 and 2020. Today, we have another unconfirmed rumor to sift through from Cinelinx, which claims that Disney and LucasFilm are developing a separate trilogy of spin-offs solely dedicated to Obi-Wan Kenobi. Here's what the site's unidentified source had to say, claiming this trilogy will be set between Star Wars: Episode III - Revenge of the Sith and Star Wars: Episode IV - A New Hope. "First up, they are not talking about an Obi-Wan spin-off movie but a trilogy of Obi-Wan movies. I need to stress that these movies are not connected. They aren't part of a story arc but 3 separate Obi-Wan adventures set between Episodes III and IV." The source goes on to add details about these three separate stories centering on Obi-Wan Kenobi. "It seems like the 3 movie ideas are as follows: One set completely on Tatooine and two where Obi-Wan travels elsewhere in the Galaxy. Qui-Gon Jinn is very much present in these stories. So too is Owen Lars. Several characters from the Star Wars: The Clone Wars TV show would make an appearance. There would be flashbacks to Obi-Wan fighting in the Clone Wars." If these details are true, and this supposed trilogy is set between Star Wars: Episode III - Revenge of the Sith and Star Wars: Episode IV - A New Hope, it seems entirely possible that Ewan McGregor, who played Obi-Wan Kenobi in the Star Wars prequel trilogies, could return. It also means it takes place at the same time as Star Wars Rebels...Will we see characters from that series in the flesh and on the big screen sometime in the near future? This report comes on the heels of last month's story that Disney and LucasFilm are crafting one of their three spin-offs around the Obi-Wan Kenobi character, which, of course, hasn't been confirmed either. Would you like to see a three separate movies that show Obi-Wan's adventures between Star Wars: Episode III - Revenge of the Sith and Star Wars: Episode IV - A New Hope? Or is just one spin-off movie enough for you? Chime in with your thoughts below.